This week’s fresh-cut flowers are definitely brightening up my office with soft and bold pops of color and textures. Since I try to buy a new bouquet every week, I thought it would be fun to finally learn the names of these flowers. I really love these lime green daisy poms which seem to end up in every bouquet I purchase. I haven’t had any of the purple statice flowers in awhile. And a pink carnation is always a sweet addition with its layers of ruffles. 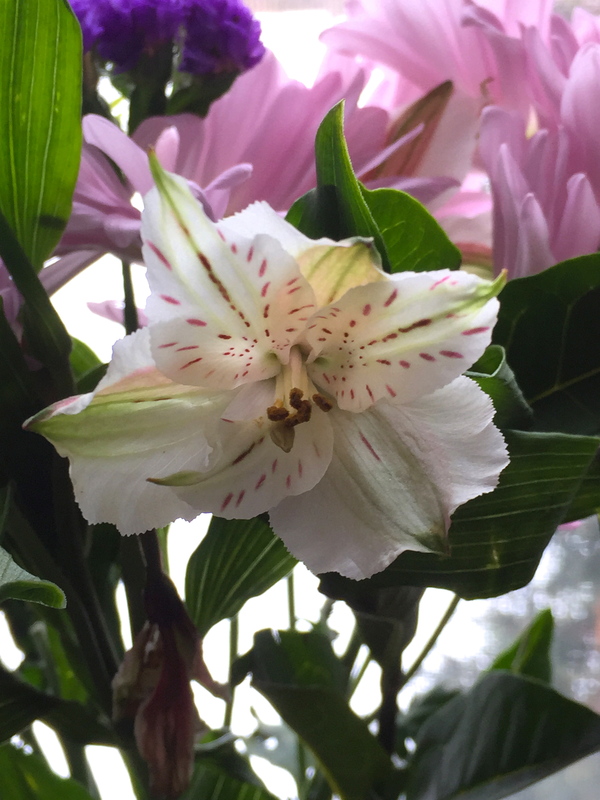 The alstroemeria (Peruvian lily) flowers come in such a wide variety of colors, yet this white version is as lovely as any. 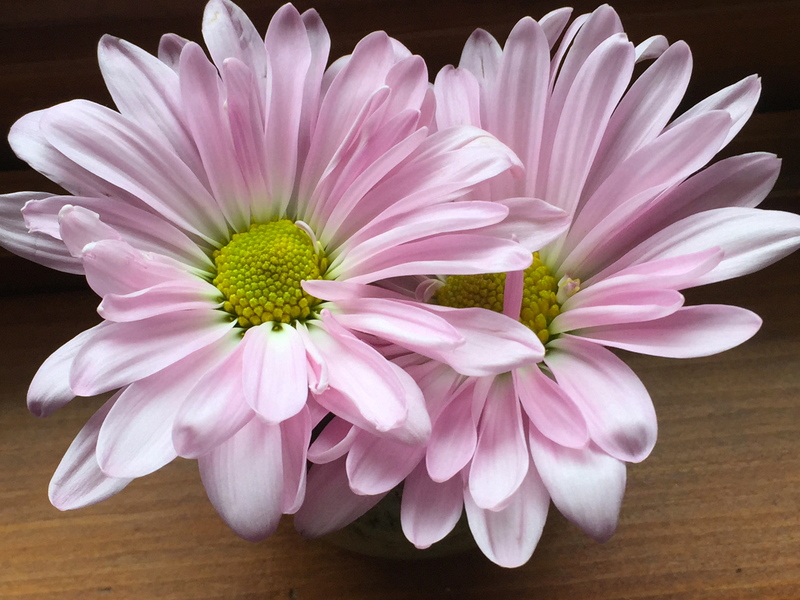 Two of the pink daisies were broken off so I saved them by putting them in a tiny dish filled with water. 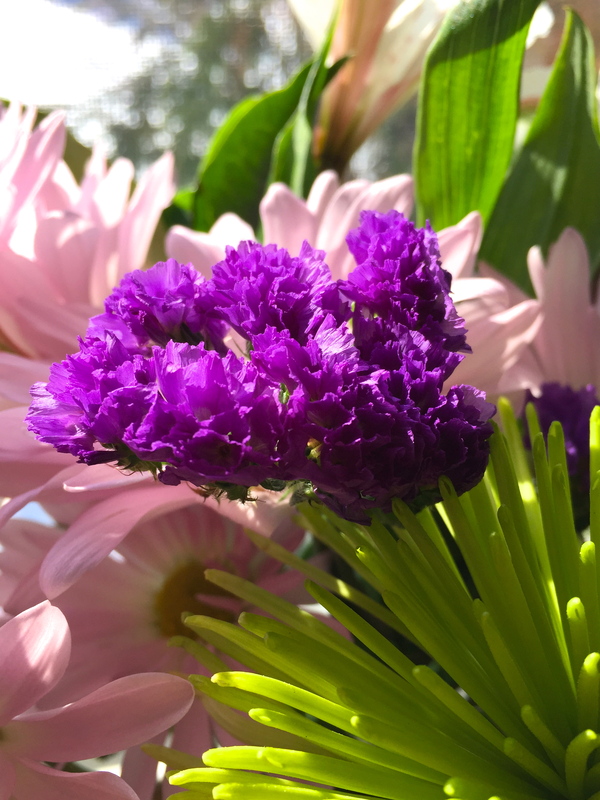 This bouquet includes a small variety of flowers, yet packs a punch with the soft pink, bright fuchsia, purple, and lime green – great for the soul and for drawing inspiration!